The designation of Canyons of the Ancients National Monument (CANM) was a huge win, but it still needs to defenders. In 2017, advocates organized to successfully dodge an attack by the Trump Administration. Rather than attacking our public lands, we should be fully funding this national treasure. 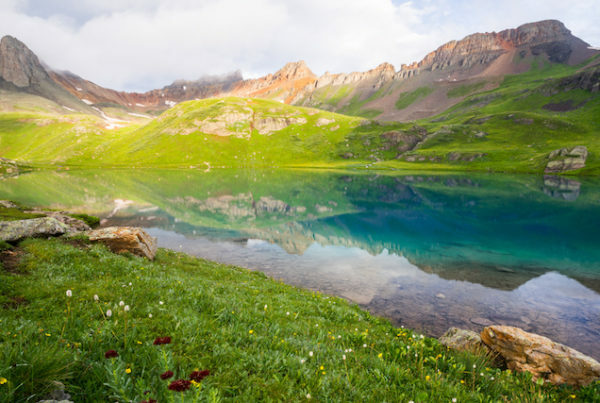 Our community fought for, and won, significant protections for the 171,000-acre National Monument in Southwest Colorado. President Clinton designated Canyons of the Ancients National Monument (CANM) on June 9, 2000 and directed it to be managed for the purpose of protecting objects of scientific and historic interest. 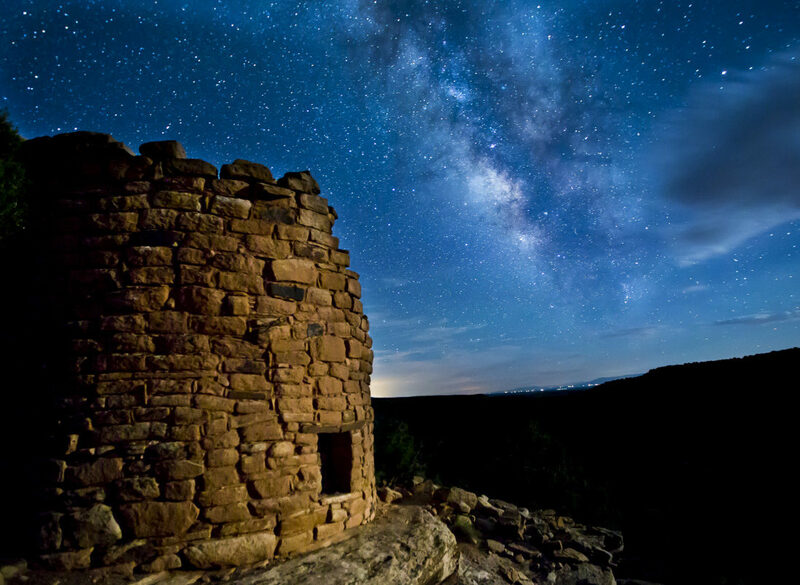 CANM is home to the highest known density of archeological sites in the United States, more than 100 sites per square mile in some locations and including at least 6,000 distinct structures, primarily from the pre-Puebloan era. The proclamation also prioritized the area’s natural resources, landforms, and wildlife species. The Monument proclamation was necessary to protect the area’s significant cultural and natural resources from vandalism and looting, rampant oil and gas development, and destructive grazing practices. Over the next few years and with significant public input the BLM drafted the Monument’s management plan. San Juan Citizens Alliance and our members were heavily involved, ensuring that the voices and desires of the community were reflected in the final 2010 plan. Economic data shows that in the decade after designation, Montezuma County experienced strong economic growth with population and jobs growing by 5% and 10%, respectively between 2000 to 2008. The Monument has not impaired natural resource extraction outside the Monument’s boundaries and travel and tourism grew. (See Headwaters Economic study). 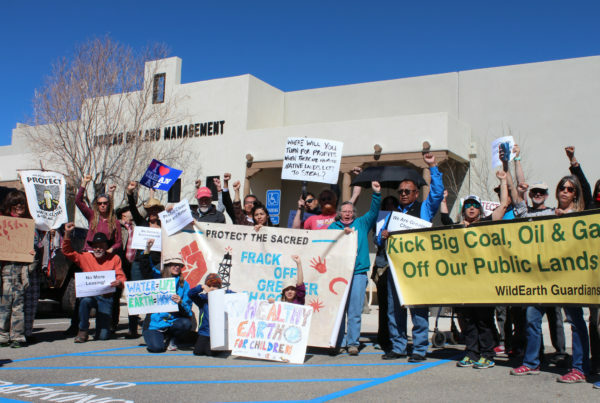 CANM belongs to all Americans, but locals have fought for its protection and management. It’s where we hike, bike, wonder and imagine an era before such protections were necessary. We are proud to share it with the peace of mind that these irreplaceable resources will be protected. We continue to defend CANM. President Trump ordered a review of CANM. On April 26, 2017 President Trump issued an executive order assigning the new Secretary of the Interior, Ryan Zinke, to review all National Monument designations issued since 1996 over 100,000-acres. CANM was one of those monuments. Elected officials, local governments, community leaders, organizations, and thousands of supporters organized in defense of CANM. On July 21st, 2017, Secretary Zinke officially recommended no modifications to the monument. Although CANM was saved in this process, others are not. The review of already established National Monuments is unacceptable. We must all speak out in support of our National Monuments and demand that no changes be made. We will vigorously defend this unprecedented attack on America’s national heritage. Interior Secretary Bruce Babbitt convened a public advisory group in 1999, which recommended strong protection for the area’s cultural resources but feared curtailment of ongoing activities, such as grazing and carbon dioxide extraction. 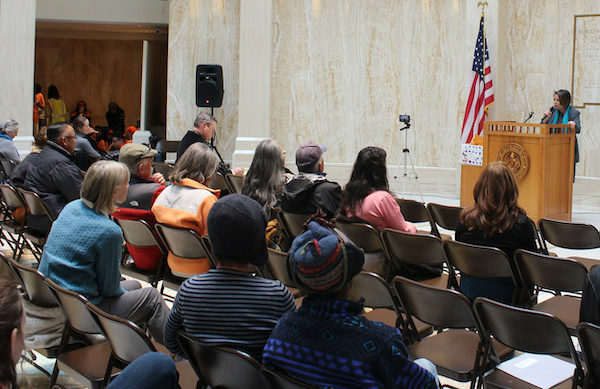 The following year, Sen. Ben Nighthorse Campbell (R-CO) introduced legislation to create a Canyons of the Ancients National Conservation Area, but dropped the effort due to opposition from a vocal minority of local residents. Once the legislative approach failed, Secretary Babbitt moved forward with his recommendation for a national monument and President Bill Clinton proclaimed Canyons of the Ancients National Monument in June 2000. The proclamation elevated protection of cultural resources, but acknowledged local concerns and allowed historic uses to continue as long as they didn’t diminish cultural resource protection. The Bureau of Land Management (BLM) then created a management plan under the guidance of an 11-member local Monument Advisory Committee that included county commissioners, livestock permittees, energy industry representatives, conservationists, archeologists, and recreation users. The advisory committee met 24 times during preparation of the management plan, providing feedback and recommendations that reflects local input and consensus. Canyons of the Ancients National Monument is part of the Bureau of Land Management’s National Conservation Lands, which consist of 36 million acres that contain some of the most spectacular scenic, natural, historical, cultural and archaeological sites in the country. The 174,000-acre Canyons of the Ancients includes 3 Wilderness Study Areas encompassing Cross Canyon, Cahone Canyon, and Squaw/Papoose Canyons in the monument’s northwest section. Across the West, National Conservation Lands include 27 National Monuments, 22 National Conservation Areas and other similar designations, Wilderness and Wilderness Study Areas, Wild and Scenic Rivers, and National Scenic and Historic Trails. Rather than fencing off a few acres for a postage-stamp sized preserve, CANM protects an entire landscape once supporting tens of thousands of people. Such landscape-level protection allows us to understand why Ancestral Puebloans chose to live where they did and why their communities changed over time. It provides insight into how they interacted with their neighbors, used natural resources, communicated, and worshipped. Outstanding individual features take on much greater significance when considered in the context of protecting thousands of sites collectively. The monument contains the highest known density of archeological sites in the United States – Canyons of the Ancients has more than 6,000 recorded sites, with total number of sites estimated as high as 30,000. Canyons of the Ancients offers unparalleled backcountry recreation opportunities. Best known is the trail system at Sand Canyon, which is a premier destination for mountain biking, hiking, and equestrian use to explore slick rock canyons and cliff dwellings. The Monument hosts 68 miles of roads, 55 miles of routes open to bicycles, another 40 miles of separate hiking and horse trails, and designated routes for use by all-terrain vehicles. Sand Canyon Pueblo, Painted Hand Pueblo and Lowry Pueblo, the monument’s most significant cultural resources, feature interpretive displays. When designated, the area was already home to three Wilderness Study Areas. Citizens nominated an additional 5,223 acres through the management planning process, for a total over 30,000 acres. These Wilderness Study Areas include Cross Canyon, Cahone Canyon, and Squaw/Papoose Canyon. Another 7,826 acres were set aside as Research Natural Areas to be managed for their research values. In addition to its vast cultural resources, CANM protects a unique array of wildlife. Species specifically highlighted in its proclamation include the Mesa Verde nightsnake, long-nosed leopard lizard, and twin-spotted spiny lizard. The BLM first identified parts of the monument as important for amphibians and reptiles back in 1965, when it created the McElmo Rare Lizard and Snake Area at the western side of what is now the monument. The Monument is a popular recreation destination and a significant contributor to the heritage tourism economy of Montezuma County. It is a critical part of local marketing strategies touting “North America’s Richest Archeological Preserve,” encouraging tourists to spend additional time in local communities. The Monument is also central to the 116-mile Trail of the Ancients, America’s only National Scenic Byway dedicated to archeology and cultural resource appreciation. Travel and tourism represent about 23% of total private wage and salary employment, or 1,550 jobs, in Montezuma County (2015). 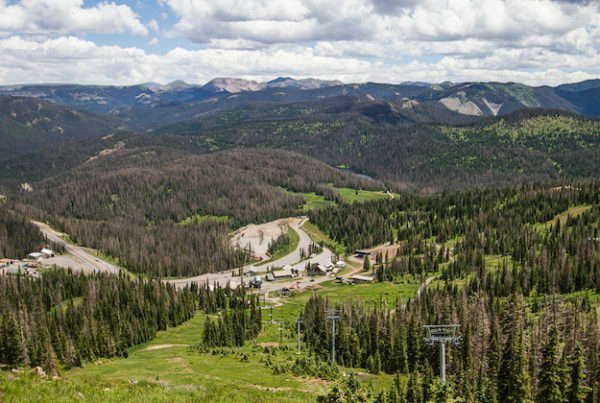 In Colorado, the Outdoor Industry Association reports recreation contributes more than $13.2 billion annually to the state’s economy. Canyons of the Ancients survived Zinke’s review, at least for now. We’re remaining vigilant for other, more subtle attacks, such as expansion of oil and gas development. We’ll be vigilant in defending Canyons of the Ancients National Monument against any threat, but it will take resources. Please consider contributing here. Sign up for our email list here. You’ll receive the most recent CANM news and updates on new ways you can help. 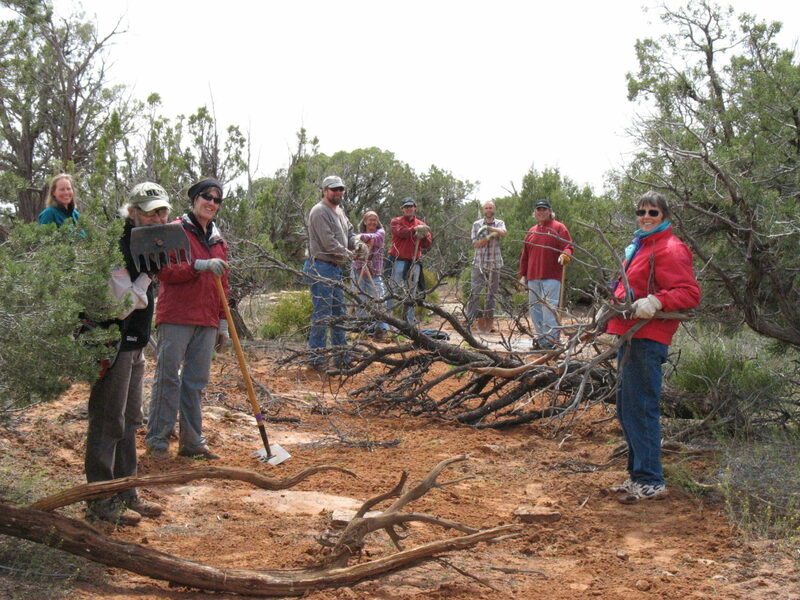 We are involved in similar work to protect public lands in the region. Check out our Public Lands page for more information on similar campaigns.